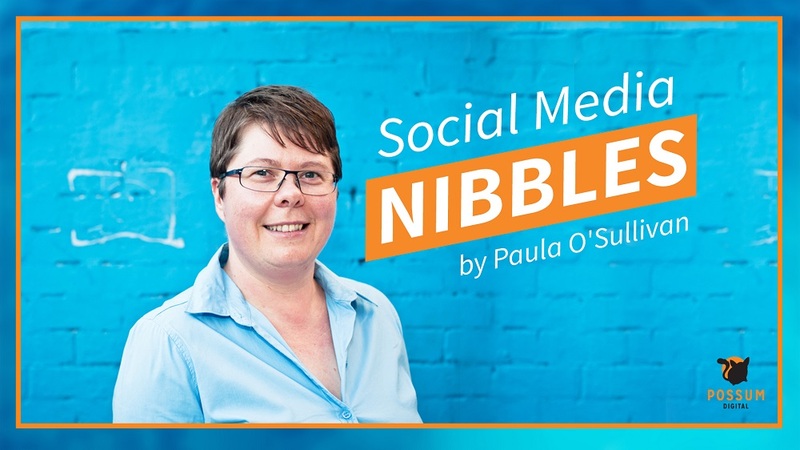 Paula O.: Hello and welcome to Social Media Nibbles. I’m Paula O’Sullivan, Social Media Strategist, and Head Possum at Possum Digital. In this episode, we have another wonderful guest, Lisa Penson, business coach and Founder of Solopreneur Success. Lisa is passionate about helping her clients to have a life and business on their own times, and I’m super excited that she’s with us to talk about how to grow your business through taking action, a personal favourite topic of mine. Welcome Lisa. Lisa Penson: Hey Paula. Hi. How you going? Paula O.: I’m really, really well. Tell us about you. Who you are, what you do, and how you help. Lisa Penson: Well, interesting question. I wear quite a few hats. My main hat is my Solopreneur Success business, which is some online training, workbooks and things like that, and my coaching business, where I help sole traders, solopreneurs, entrepreneurs, whatever they want to call themselves, grow their businesses. Lisa Penson: And I also teach. I teach Diploma of Business at a school, which helps me with those workshops and teaching side of it, which I absolutely love. Paula O.: Nice. What mistakes or challenges do you see solopreneurs making that inhibit growth in their businesses? I imagine you’ve spoken to a lot of solopreneurs in your time, so are there any common themes that you’ve noticed? Lisa Penson: Yes. That’s a very short answer. I must have met probably nearly 1000 solopreneurs now, through my coaching and workshops, and one of the biggest things that sticks out is lack of consistency. And sometimes it’s the shiny red box syndrome, so they do something, and then they say, “Oh, this is better” and so they go and chase that, and they stop doing the consistency that they should be doing. Lisa Penson: I think the biggest thing is that they’ve just got to stick to what they’re doing, do it well, and then once that’s working for them, then move onto the next thing. Paula O.: So really what it sounds like is people are trying to find a solution or a substitute for the actual grind, and potentially the hard work? Lisa Penson: Correct. I think they’re trying to find a magic wand, to be honest. I’ve been doing this for quite a few years now, and I’m still looking for my magic wand. I know. I think people forget about the whole day-to-day grind. It’s awesome being a solopreneur, I love it, I love the lifestyle, but I still have to do that daily grind of my Facebook and my LinkedIn, and connecting with people and hustling, and things like that. Those are the bits, and I think probably sales is the thing that gets people stuck mostly, ’cause they think they’re in sales, but they’re not. They’re in the business of helping others, and they’ve just got to realize that that’s what they do, and stop thinking they’re in sales, because people don’t like sales. Paula O.: Well, not in the traditional I guess used car salesman stereotype way. There’s a gentle and more authentic way of doing sales, but really something that sits with them. Lisa Penson: Correct. I think this is a challenge for solopreneurs, because they see it as sales, and they don’t see it as they’re helping people, and explaining how they do it in that non-salesy way. They get stuck on this, “Oh, people will think I’m like a car salesperson,” and there’s some also car salespeople out there, but they don’t want to be seen like that from a solopreneur perspective. Lisa Penson: I think the common theme is they just need to get out there and be passionate about what they do, and if they’re passionate about what they do, that will come across, and find those people that they can really help. Paula O.: Yeah, it sounds so simple, doesn’t it? It sounds so simple, but it’s a lot of hard work. We both know that social media can be a real huge help for solopreneurs, but that it can also be a hindrance. In your view, and in your talkings with all of your clients, what are the good habits that solopreneurs should be embracing and focusing on? Lisa Penson: The best habit is they’re very clear on their goals. From the business perspective, the life perspective, but from their social media perspective, they’ve got specific goals that they set and they’ve got a plan, strategy, whatever you want to call it, in place, to actually reach those goals. There seems to be a bit of a do it when you can mentality, and really that comes back to the consistency. Lisa Penson: But I think that the good thing about it is that if you have clear goals and a good strategy, make most of the tools. There’s tools out there that can help make life easier, and sometimes it’s about researching those. Or, get help. These people, they can’t do it themselves, they don’t have the time to do it themselves, then pay someone that’s an expert in this, I mean, like yourself. To go and get someone to do it for you, or help you initially with the strategy to get clear on, and then go and do it yourself. Paula O.: Yep, okay. Any bad habits to avoid or change? Now, I know that this is a question you and I could talk about at length for hours, but are there any particular bad habits that stand out for you that are really easy to avoid or to change? Lisa Penson: I think the biggest one that I’m coming across now, and I think this is because Facebook changed how they do things a little bit, is Facebook groups and commenting in Facebook groups. I have several clients at the moment that their personal profile isn’t connected with their business in any way whatsoever, and they’re hiding in a corner somewhere, but then when they go and post in a Facebook group, the Facebook group comment comes from their personal profile. Lisa Penson: We know this, but if you post in my Solopreneur Success Facebook group, and I click on your name, it goes back to your personal profile that has lots of things about your business, but these people are like, “Well, I don’t want people to know who I am.” It’s like, “Well, you are your business so get over yourself and get on with it.” The groups are amazing, they can help you build your business, but you need to connect that with your personal profile, and more and more this is happening because of how Facebook are working these days. Paula O.: Yeah, and it’s really interesting that you talk about Facebook groups, ’cause one thing I’ve noticed, and I’d love your view on this, and to be honest, I actually don’t know who’s advising people to do this, so a quick tip from me, what I’m about to tell you, please just don’t do this, is people finding out what promotional days are in some of the large groups, and just blanket smashing all these groups without doing any of the engagement or helping beforehand. Is that something that you’ve had to advise on or you’ve seen yourself? Lisa Penson: Massively. I have people that I know diarise different days for different groups, and the only day when they post is when they’re promoting themselves. Really, it’s not helpful, because the whole point is what you give out is what you get back. If you’re just giving yourself promotion, people aren’t going to engage with that, or rarely engage with that. Lisa Penson: Whereas, if you’re going into a group and you help other people and you comment and you share, then people get to know you and who you are as a person, and then what you do as a business, and the rapport building, although it’s online, is significantly increased by just helping other people. It is this mentality, what you give out, you get back. Yeah, I just think that don’t bother just promoting on promotional day or whatever that is, because that’s not exactly helping the world. Paula O.: I guess tying that back to an original point that you made earlier about sales and how people just think of themselves, “Yep, I’ve got a business, I just have to be a sales machine,” it seems that sometimes the mindset around how they view that plays out in this online behaviour. How would you recommend people change that mindset or maybe flip that mindset around to be one of service, and be service led, so that their online behaviour mirrors that? Lisa Penson: Yeah. It’s a mindset, 100%. It’s about getting out of bed on a morning and saying, “Who can I help today?” It’s about thinking, “Okay, so” … I mean, I send people links for blogs because I think, “Oh, my God, yeah, that would be good for them to maybe have a read of that.” I share lots of tools that I have, I share lots of stuff, and people appreciate it. Out of that, for my business and my coaching business, I get a lot of referrals. Lisa Penson: It’s not about, “Who can I flog to so I get more money in the bank?” It’s, “Who can I help that will make their life better?” And then of course, what goes around comes around. Paula O.: Nice. I think that’s a really lovely approach to take, so with that in mind, what are your top three actions that solopreneurs and other entrepreneurs as well can take right now to move their business in the right direction? Lisa Penson: Number one, have clear goals. Goals might be next week goals, it might be 5 year, 10 year plan goals, but it’s around what’s the vision of the business? What’s your mission in life? Why are you getting out of bed on a morning? What’s your why? And set clear goals that will help you not only build your business, but improve other people’s lives, and then once you’ve got clear goals, come up with a plan to reach them. Lisa Penson: I think people say, “Oh yeah, I want to earn $100,000 next year” and then I say, “Oh awesome. Great. How are we going to do that?” They say, “Oh, I don’t know that bit. I just know I want to earn that much money.” It’s okay to have financial goals, ’cause I have some really strong financial goals, but it’s not the only goal you should have. Lisa Penson: Have clear goals, have a plan to reach your goals, and the third one is get someone to make you accountable. Whether that’s your best mate, your business coach, your social media strategist, whoever that might be, get someone to make you accountable, and call you on those days when you think, “Oh, my God, this is going on” and they’re going to call you on this and say, “Hey, is that the right way to think?” I think that’s my top tips for sure. Paula O.: Nice. Thank you so much. They’re amazing tips, so make sure everyone, you get onto those. And thank you so much for your time today, Lisa. Where can our listeners find out more about you? Lisa Penson: Okay, they can go to my website, SolopreneurSuccess.com.au, and I do coaching all over the world. I do most of it online these days, so they can go there and find more about me there, and they can connect with me through Facebook. I have the Solopreneur Success Facebook group, and bottom line, they can always send me an email. Lisa@solopreneursuccess.com.au. I’m more than happy to help anyone out there that could do a bit with help. Paula O.: And thank you all for listening. If you like what you heard in this podcast, please subscribe and share it with your friends, and make sure to visit our website, PossumDigital.com.au, where you can listen to more podcast episodes just like this one, and read our latest blogs.